ONLINE Scholastic Book Fair SALES END TODAY! 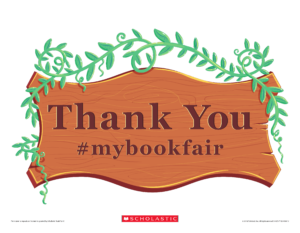 We want to thank EVERYONE who volunteered, participated, and purchased items at our “Enchanted Forest” Fall Scholastic School Book Fair! If you were not able to visit our Fall Scholastic School Library Book Fair, and/or you want to look at everything Scholastic has to offer, you can visit their website at scholastic.com/fair and purchase items there, also. https://harmonypublicschools.network/hsalubbock-new/wp-content/uploads/sites/124/2017/10/HSA-Lubbock-white-letters-300px.png 0 0 ssouthard https://harmonypublicschools.network/hsalubbock-new/wp-content/uploads/sites/124/2017/10/HSA-Lubbock-white-letters-300px.png ssouthard2018-11-05 14:43:022018-11-06 14:35:45ONLINE Scholastic Book Fair SALES END TODAY!